Honestly, a job application would not be enough without its cover letter. While you need to let the company you applied to know why you’re the best candidate, you need to show that your passion is to help them as well. 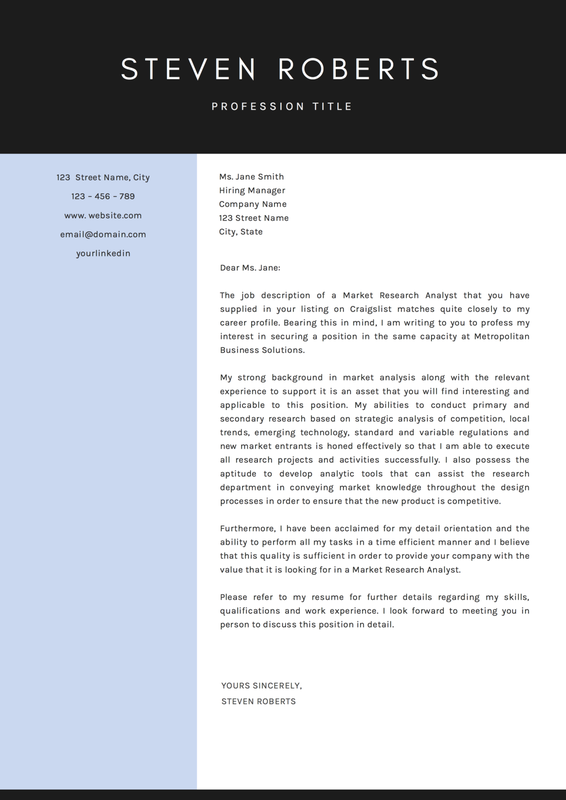 We understand that sometimes starting your own cover letter might take a bit of inspiration and time. With the Steven Roberts Cover Letter, you don’t need to worry about that! The Steven Roberts Cover Letter has it all prepared for you! 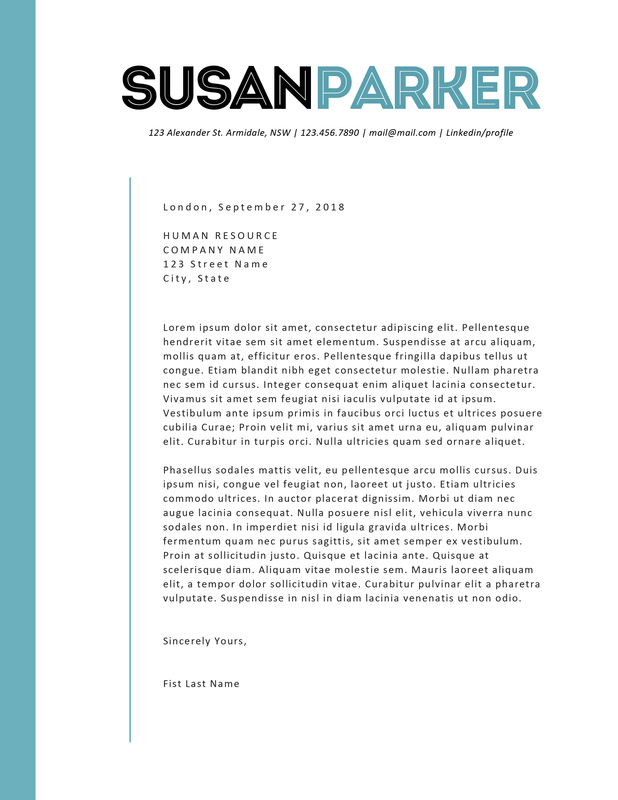 With our carefully chosen words, immaculate design, and the fact that it’s fully customizable, the work of writing your own cover letter is made easy for you! All we want is to simplify your process. 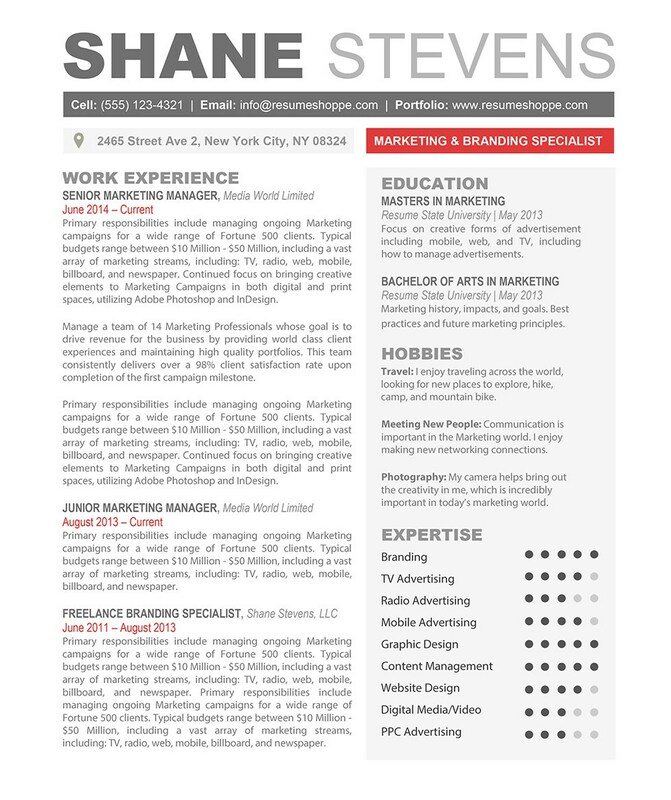 You can modify the Steven Roberts Cover Letter to fit your liking! Just fire up your Microsoft Word and edit away. If you feel the color doesn’t match your personality, switch the color, it’s that simple! Either way, you can easily change the little intricate details to show the real you to your future employers. How do I get this amazing template? After you make your purchase, the files will be e-mailed to you! Follow the super simple instructions to download and install the required fonts. Swap the existing information with your own. Remember that you can change the colors and customize any way you like! 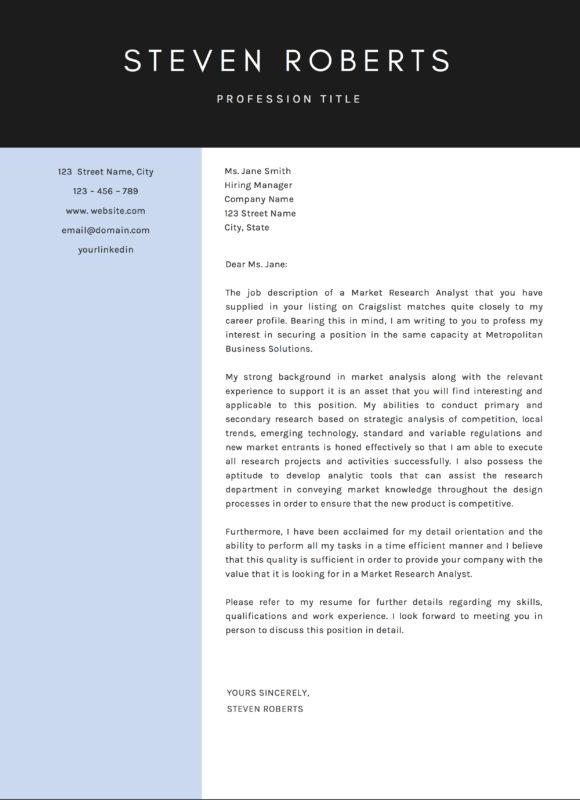 Save your new cover letter as a PDF to email, or print it out to send it!